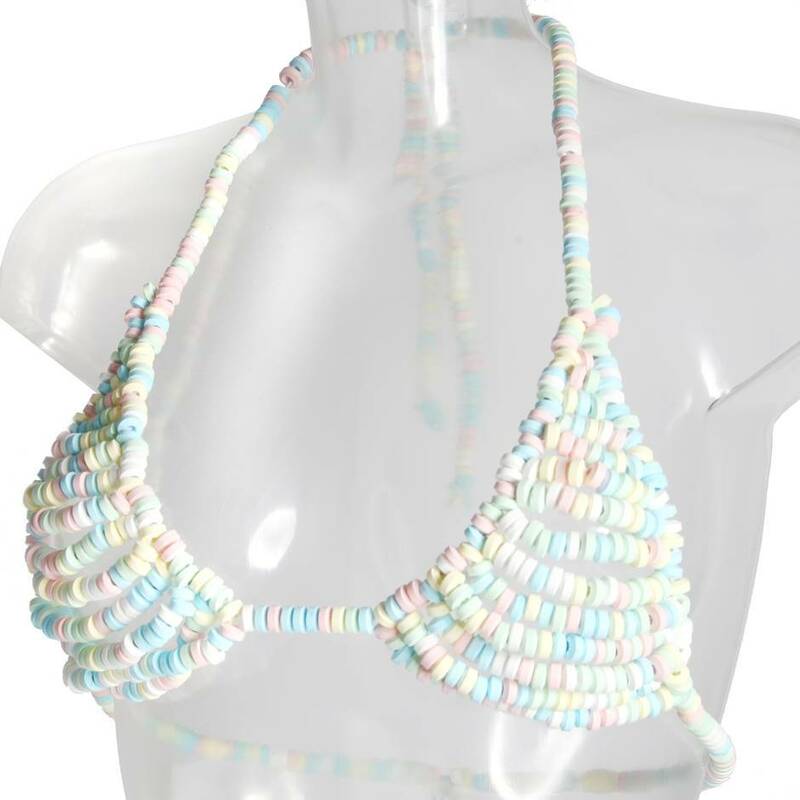 Stave off the post-coital munchies and look ravishing at the same time in this super-sweet edible candy bra. Made of the same candy 'beads' and elasticated strapping as your old-school sweet shop edible necklaces, looking tasty has never been so literal. Order over the phone: Call 0044 1225 303 840 and quote code 2863. Ingredients: Dextrose, Modified Maize Starch, Anti-caking Agent: Magnesium Salts of Fatty Acids, Citric Acid, Flavourings. Colours: Blue 1 (E133), Yellow 5 (E102), Red 40(E129).